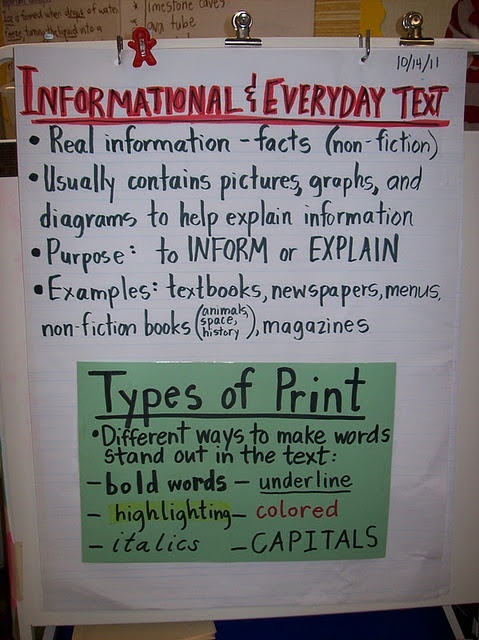 It’s essential that students understand that news articles fall within “non-fiction” texts. They should know that this means the news is meant to: inform, be factual and provide useful details. 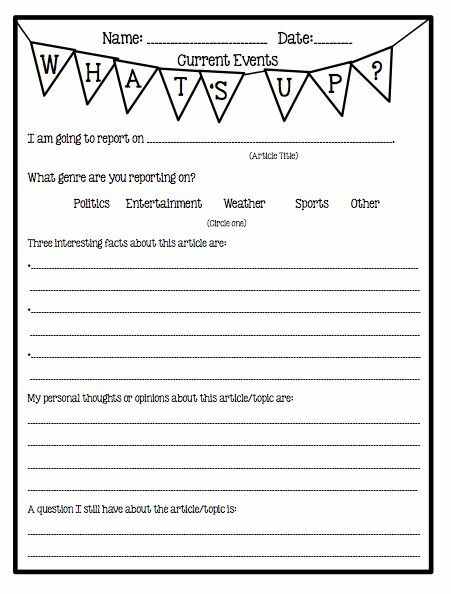 This is also a great time to talk with kids about how there are different forms of news articles such as weather, sports, investigative and more. 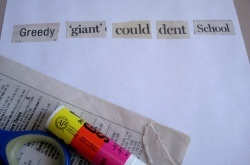 This is best done by examining a newspaper together. 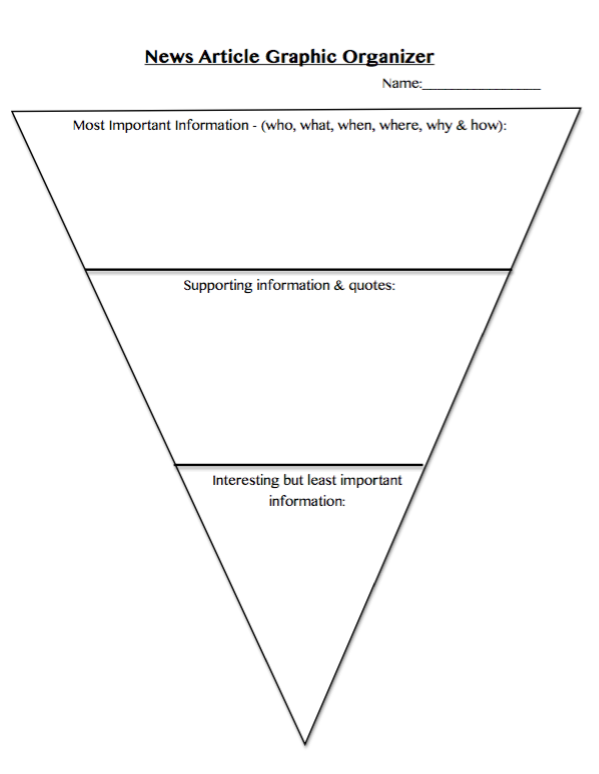 Have students use my freebie inverted triangle graphic as a way to understand the structure of a news article. Unlike a story, that has a dramatic climax in the middle or end, a news article is meant to start off with the most climactic information. 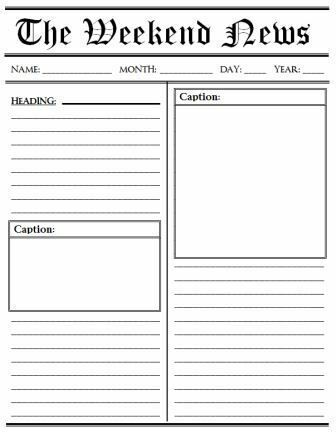 Have students use this as a way to sort details from an article they’ve read. If you’re looking for appropriate news articles for kids, take a look at these sites: Time For Kids & Teaching Kids News. Once students have really gotten a hang of reading news articles with understanding, it’s time to transition to writing a news article. Review all of the lessons used to get to this point: non-fiction elements, news article text features and the structure of a news article. 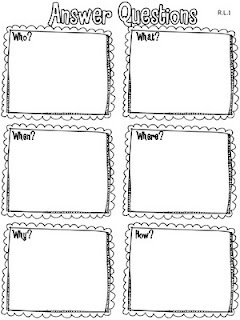 Then, have students find an event they would like to write about. 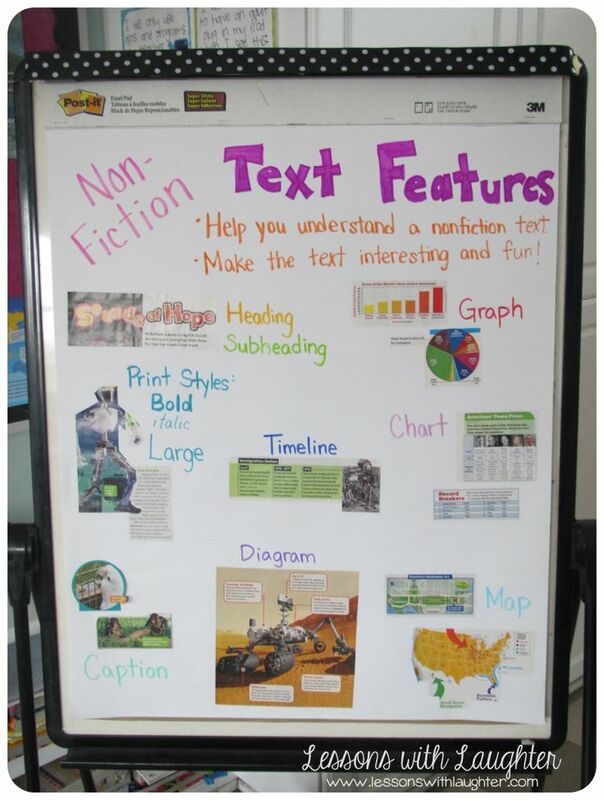 To make it easier for students, give them a broad range of topics such as past or present events, private or public events (for example: a birthday party, or a community carnival they attended), or have writing prompts available for students who are having difficulty thinking of an idea (for example, give students the prompt of writing about a recent school assembly or field trip). 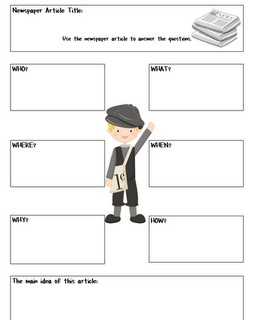 How awesome would it be to use your class’s news articles to create a class newspaper for all the kids in the class to see. It would take some crafting, but it would it be worth it!